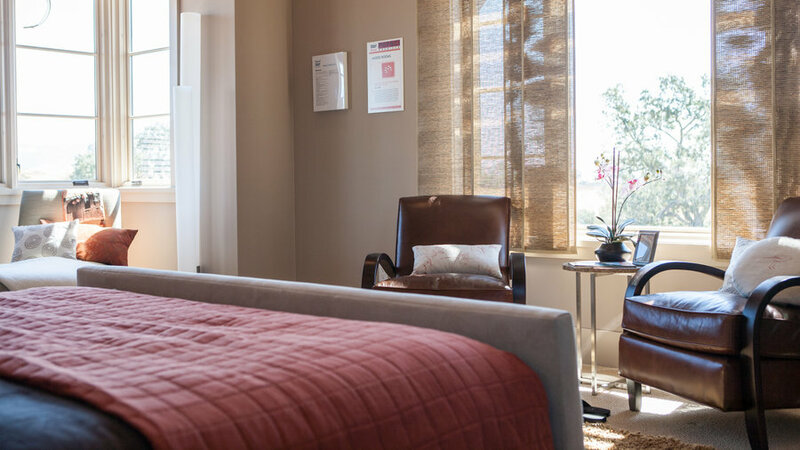 The Sunset-Popular Science House of Innovation helps you wake up, reminds you to lock the door, and adjusts the shower to individual preferences. 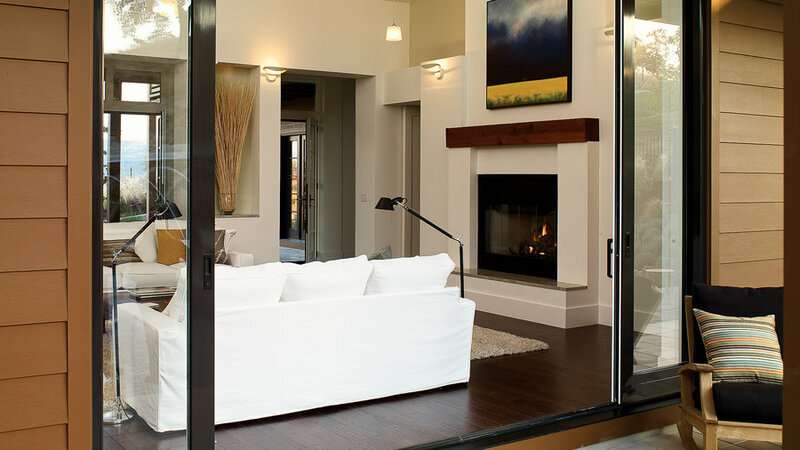 It also delights the eye and offers the best of the West’s flexible, indoor-outdoor living. A digital wine vault tells you the optimum time to serve each bottle. A mini robot mows the grass. Windows capture stunning views. 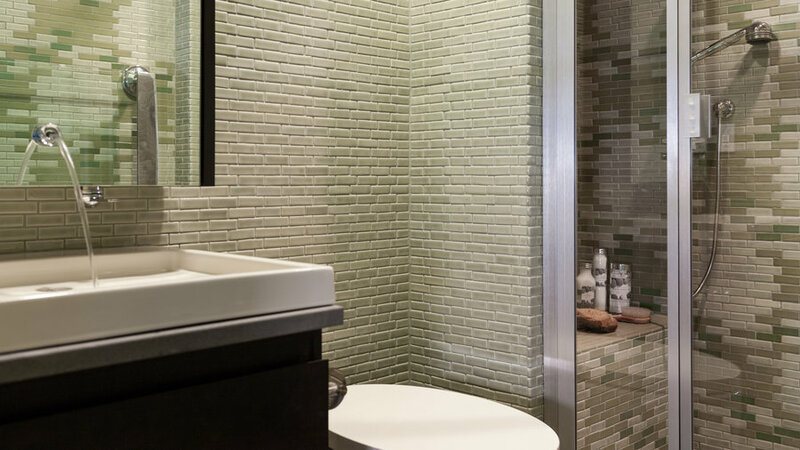 For more privacy, flip a switch, and the glass becomes opaque. 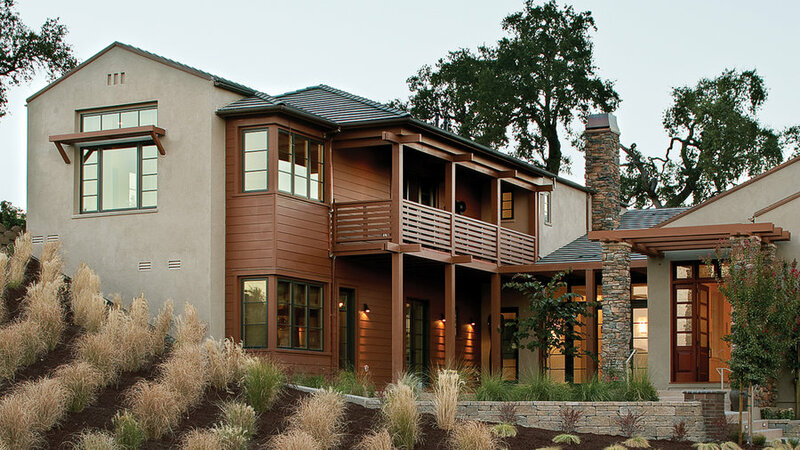 Click ahead to see more ways this home in Alamo, Calif., points to a future where design and technology create comfort, ease housework, save energy, and entertain. Takeaway idea: Simple lighting and a light palette add to the room's spaciousness. 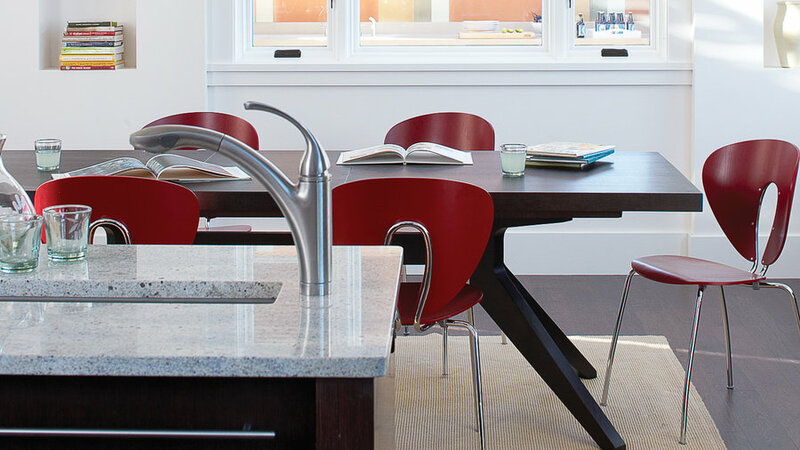 Takeaway idea: One side of the red-accented island functions as a breakfast bar or buffet. Stainless steel stools tuck under the counter. The tech: When the floor gets dirty, don't reach for the mop. The Scooba gently scrubs hard surfaces, using infrared sensors to find its way around a room. 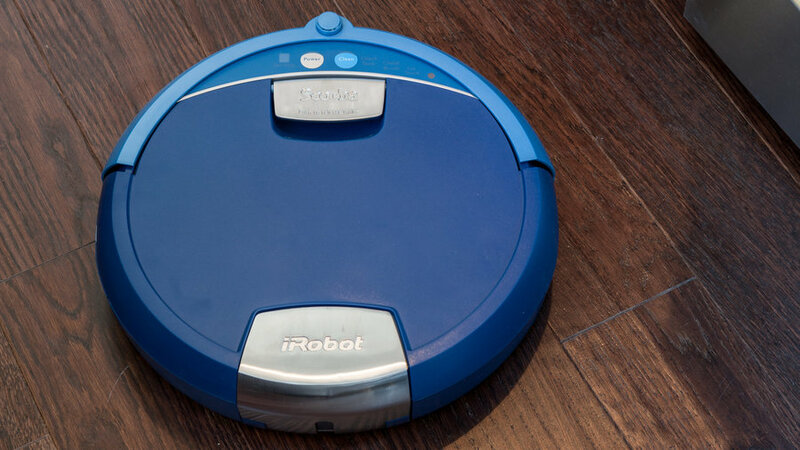 Scooba can assess how dirty a floor is and adjust its scrubbing mechanism accordingly. Takeaway idea: Group small art pieces for impact. Here, six square works coated with epoxy resin from the hang in a single row, echoing the horizontal niches built into the corners of the room. Takeaway idea: Counters are for more than chopping and holding appliances. This granite-topped surface from contains a built-in trough for icing bottled drinks. 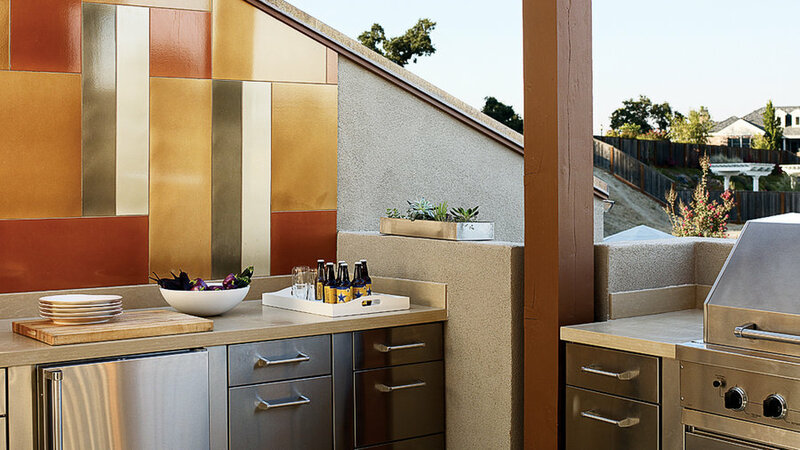 Takeaway idea: Most countertops have a backsplash of some kind. Extend it higher, and you have an accent wall. 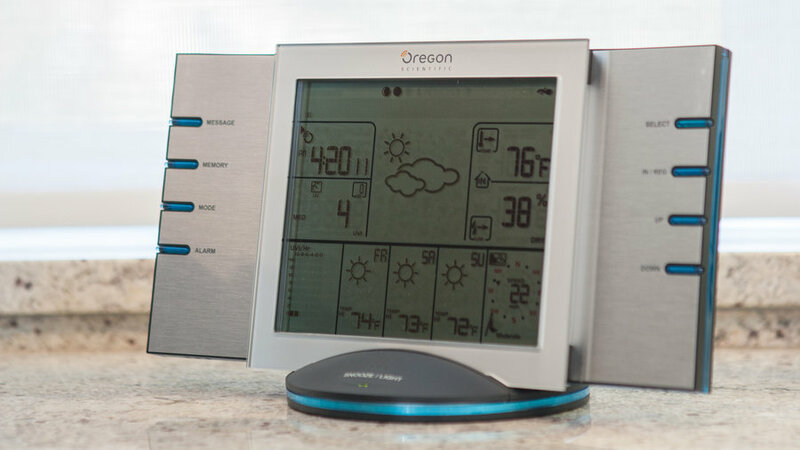 The tech: This panel from displays local weather info, including four-day forecasts via MSN Direct's FM broadcast service. Takeaway idea: Extend floor tiles outside for your own indoor-outdoor connection. Takeaway idea: Lighting can do more than illuminate. 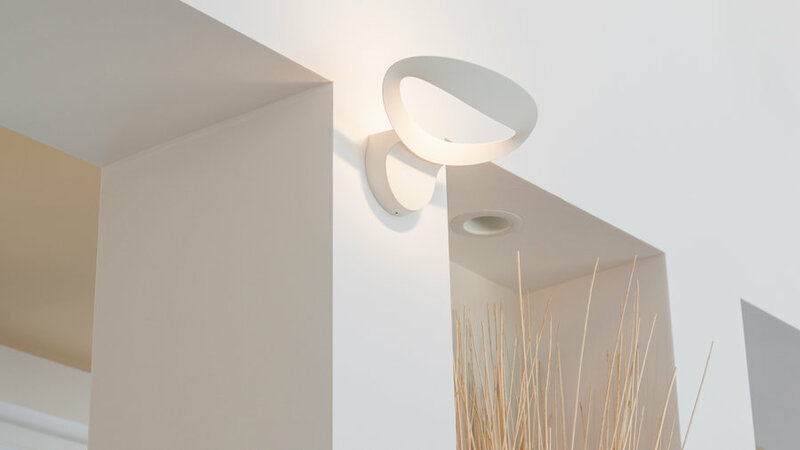 These sculptural sconces add elegance and character, too. Takeaway idea: Add interest to a room by using contrasting materials ― like this table of reclaimed redwood and concrete (by Holmes Wilson Tables) and smooth stainless steel pendant lamp. 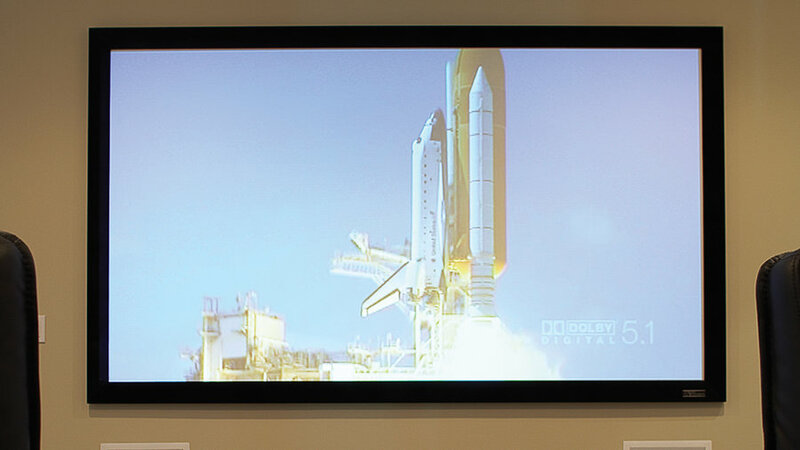 • Theater Reference high-definition projection screen (sizes range from 80" to 300"). • Grand Cinema C3X projector, delivering three-chip quality in a small (17"x7½"x17") unit. 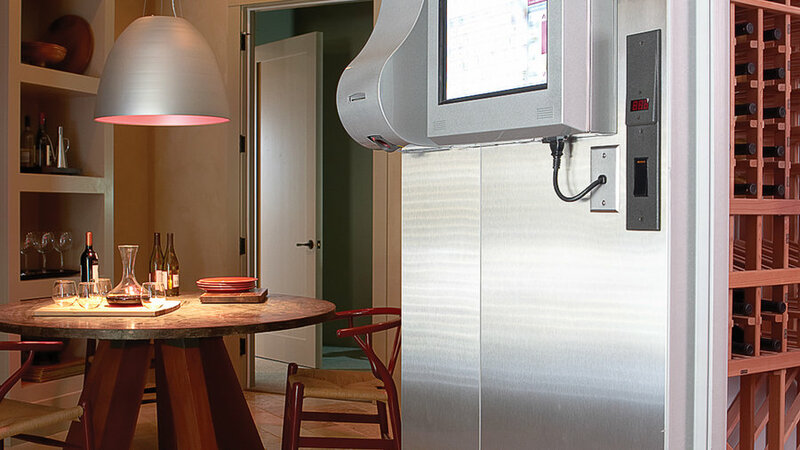 Takeaway idea: Design a space for your stack of electronics, turning them into a visual statement of their own. Innovation: A desk on casters keeps the room flexible. Takeaway idea: Love technology? Embrace the look with stainless furnishings and glass-fronted cabinets. The tech: A remote control switch makes it possible to close or open the shades (by ) from the bed. The bedside panel also controls home security, lighting, and audio. 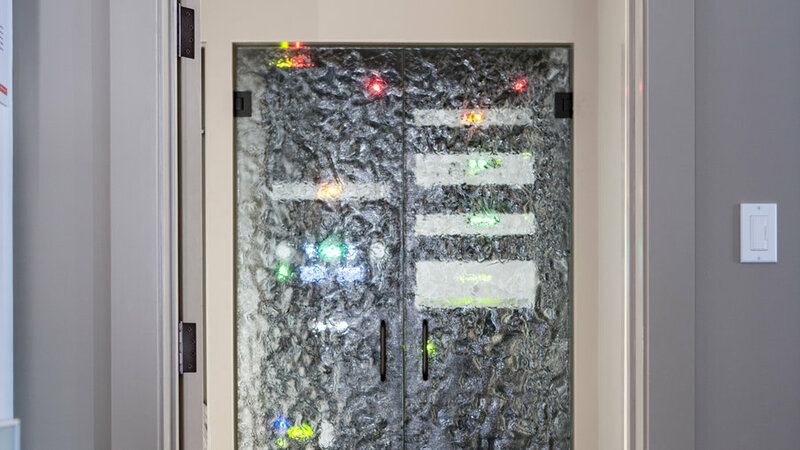 Innovations: A computerized shower system by lets you set individual water temperatures and spray actions. Phase-change windows from Glass Paradigm change from clear to cloudy at the touch of a switch. Takeaway idea: The warm cafe au lait color of the concrete tiles (by ) warms the space. Understated stainless steel fixtures add to the calm. 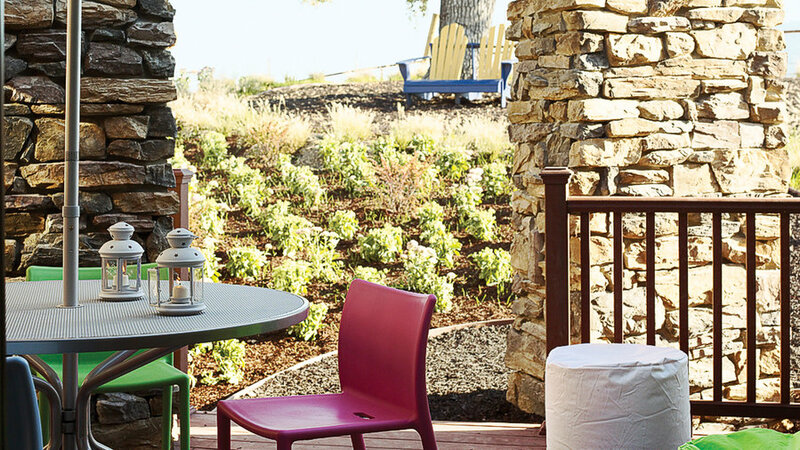 Takeaway idea: A very simple color scheme helps a small space feel larger. 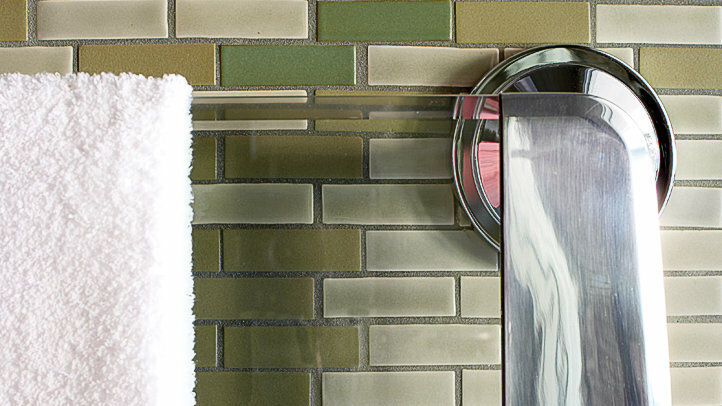 The tech: The heated glass and metal rack from keeps towels warm while preserving a view of the tile wall. 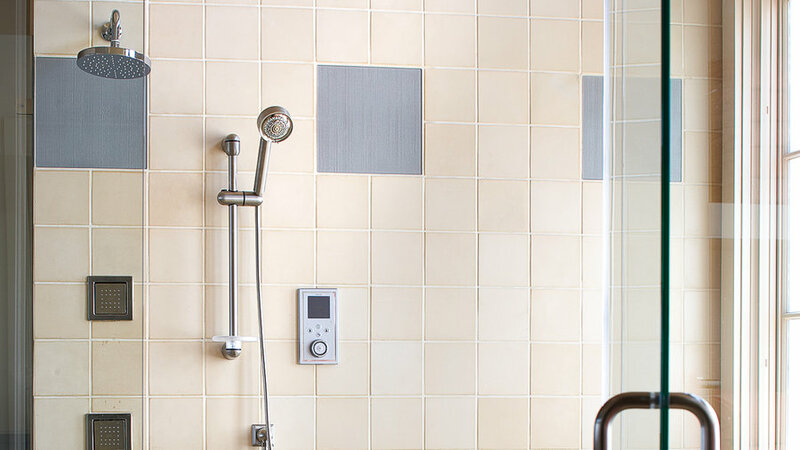 Heated towels are a luxury you'll wonder how you ever did without. 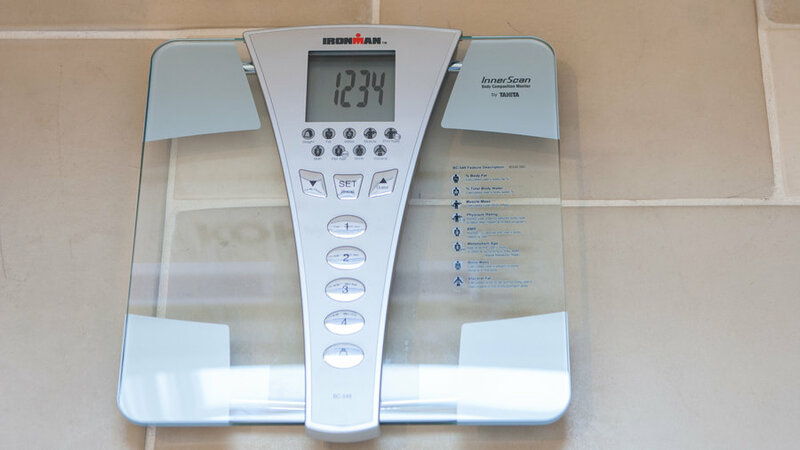 The tech: BC549 Ironman InnerScan Monitor looks like a bathroom scale, but it also analyzes your percentage of body fat and water, muscle mass, and basal metabolic rate ― and stores results to help you monitor progress. 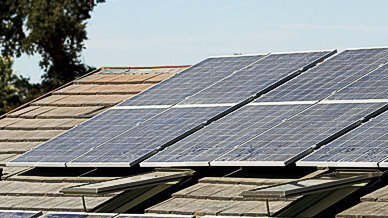 The tech: Rooftop solar panels from can generate most or all of a home's electricity. The tech: The Kyodo America mows up to ¾ acre using sensors and transmitters to find thicker or taller grass. 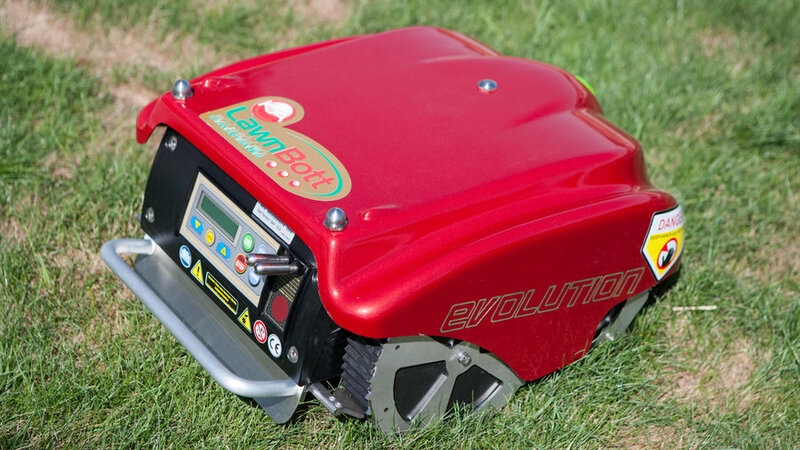 The Lawnbott returns to its docking station for recharging when batteries run low. Design: The house wraps around a pool courtyard and climbs a hill to capture beautiful hill views. Herbs and vegetables mix with ornamental plants in the front yard. The two-story veranda off the master suite was inspired by a similar feature at playwright Eugene O'Neill's Tao House in nearby Danville, Calif.